The Royale range of high quality natural ash chairs is designed to blend in to any home setting. 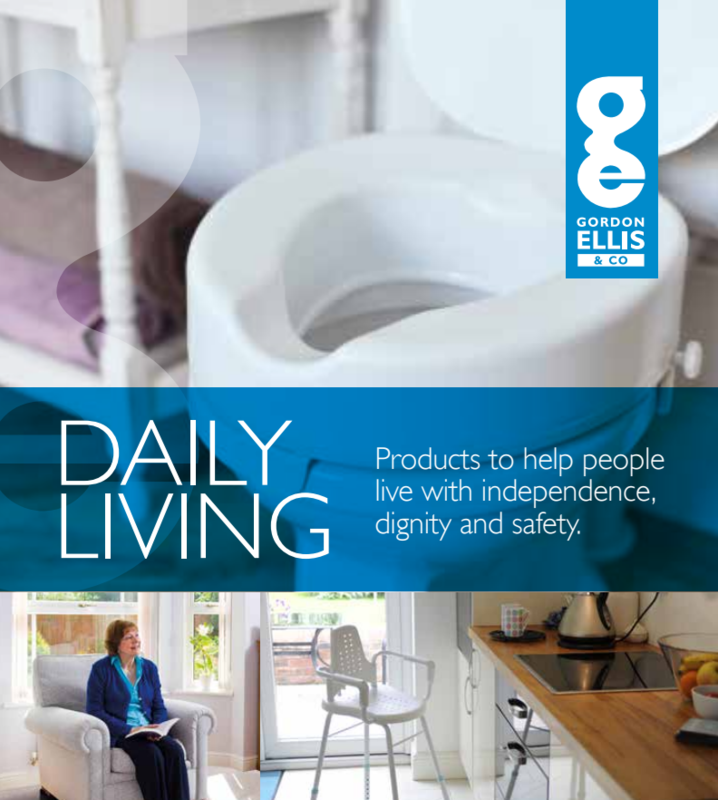 The comfortable upholstered seat is hinged and, when pushed back, reveals the hidden commode with the Ellis Lock and Lift lid system. 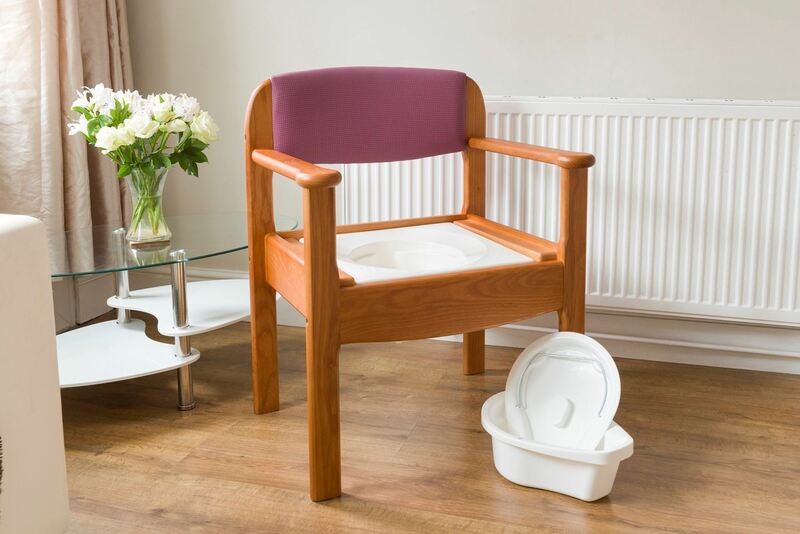 The hinge makes this the easiest commode in our range to remove and replace the seat cushion, as it simply slides out of the way for use. The sturdy construction and arm rests give support to the user, making it easier to grip and stand up. 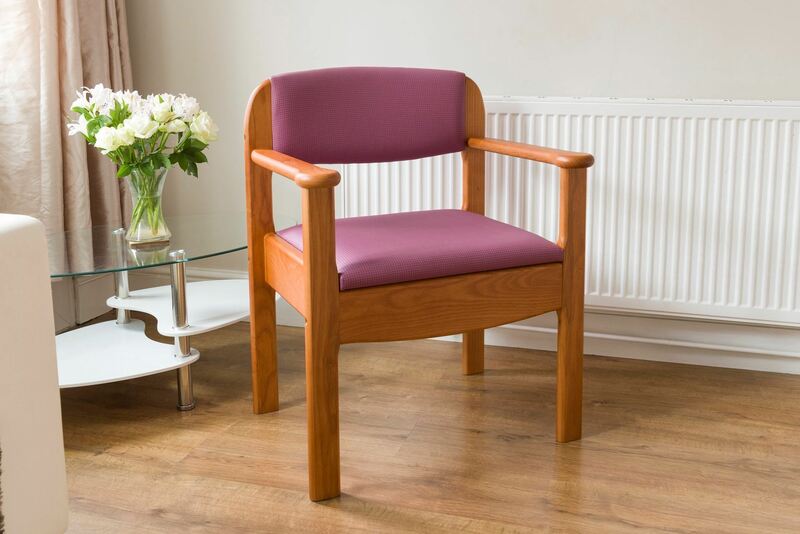 This solid wood chair is made from sustainably sourced timber using traditional mortise and tenon joints and strong metal-to-metal fixings. 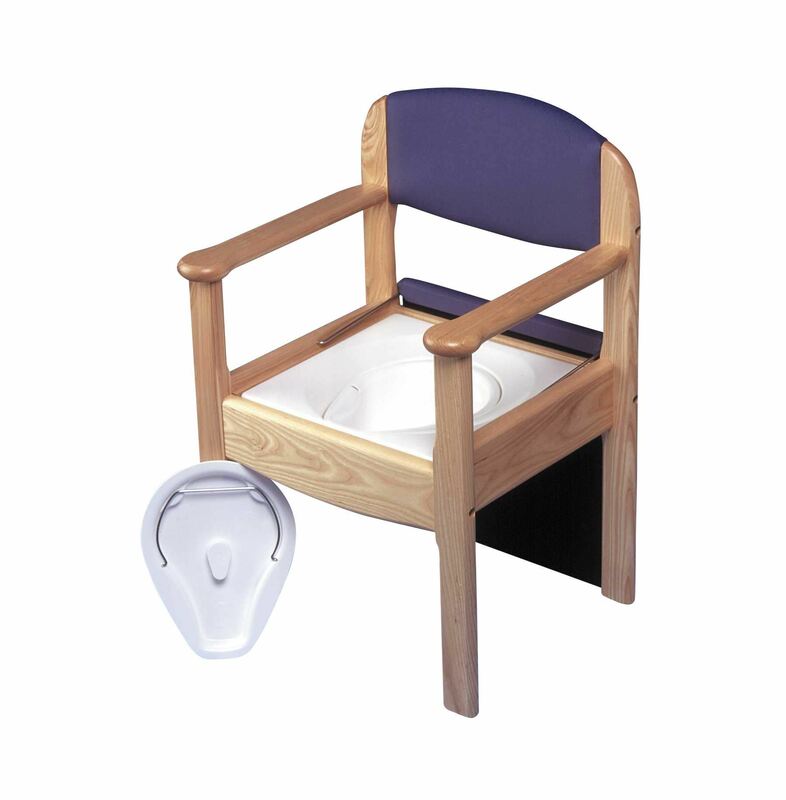 The extremely high standard of manufacture means that people will not know it is a commode chair. It is upholstered in fire resistant easy-to-clean fabric. The seat cassette and the commode pan are easy to remove and replace. The chair continues to be an attractive and functional piece of furniture even if the cassette is permanently removed.